Three young teenage Christian girls have been arrested following the distribution of a Christian book in the town of Babile. The three girls — Eden, 15, Gifti, 14, and Mihiret, 14 — first appeared in court on September 28th with an 18-year-old woman known to her friends as Deborah. Police and governing officials have continually asked for extensions in the case. This case involves the distribution of a Christian book written in Ethiopia’s main language: Let’s Speak the Truth in Love: Answers to Questions by Ahmed Deedat. The book, which was written by a local author, answers questions posed by the late South African Islamic scholar (and former head of the Islamic Propagation Centre International) about the Christian faith. Local Christians decided to distribute it following their cross-cultural evangelism training. Threats against the girls’ church leaders have since arisen. On September 21st, a group of about 20 militant Muslim youths reportedly visited the home of one of the leaders, warning him to leave the area or risk losing his life and property. Ethiopia’s constitution guarantees freedom of religion, and in most cities people of different faiths co-exist peacefully. However, evangelical Christians (including those who formerly adhered to Islam or to Ethiopia’s Orthodox church) are subject to discrimination, threats and sometimes attacks. 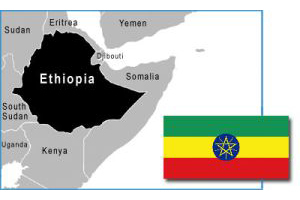 To review previous reports on persecution in Ethiopia, visit this page. Please pray that Eden, Gifti, Mihiret, and their friend Deborah, will receive justice, mercy and protection from potential harm. Thanking God for their steadfastness in the face of persecution, let us pray that they will continue to speak His Word with great boldness and conviction (Acts 4:29). May their witness inspire others to grow in the Christian faith and to live more courageously — despite whatever obstacles or opposition they encounter. Ultimately, may God’s message of salvation and peace prevail throughout Ethiopia. 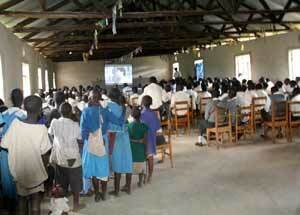 Church members are alarmed over the gruesome attacks. Church members of a northeastern town in Kenya are concerned for their safety after Islamic militants targeted Christians in a grenade and gun attack that killed six people at a residential compound in Mandera on October 6th. Targeting predominantly Christian migrant workers from Kenya’s interior, rebels from Somalia’s al-Shabaab terrorist group took responsibility for the attack. A spokesman for the militants stated that it was designed to drive Christians from the area. The BBC reports that Muslims in Kenya’s northeast increasingly see al-Shabaab as a threat to their own interests and are seeking to improve relations with local Christians. Many of these Christians are skilled workers who have moved into the region, which happens to be one of Kenya’s poorest, to work in its schools and hospitals. For more information on persecution in this African country, please visit this page. Ask God to bind up the brokenhearted in Mandera, and to provide protection for His faithful servants in this volatile part of the world. Thank Him for the collaborative efforts of citizens in northeast Kenya as they seek to curb the threat of militants. Pray for wisdom on behalf of the Kenyan government, military and police as they tackle extremism and work to achieve peace and harmony within these communities. Most of all, may the Prince of Peace work mightily in the hearts of all Kenya’s citizens — including the members of al-Shabaab — so that true peace may be achieved in this country. Tensions are running high over Asia’s case. Approximately 150 Muslim clerics issued a “fatwa” (a religious edict), warning the government not to release Asia and threatening to kill anyone who helps a person accused of blasphemy. More information on Asia’s case can be found here. Please pray that God’s strength and peace will sustain Asia, her family and those representing her (Philippians 4:7), while also keeping them safe from any assault or threat against their lives. Ask Him to grant wisdom, courage and protection to the members of the Pakistani government, as well as the Supreme Court judges who will be hearing Asia’s appeal. May they not be intimidated by the militants but rather encouraged to act justly and extend mercy. 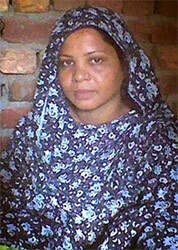 Through it all, may Asia’s case be used to highlight the injustice of Pakistan’s blasphemy laws and to testify of her steadfast Christian faith to many around the world. If you would like to post a prayer of praise or petition on behalf of our persecuted family around the globe, visit VOMC’s prayer wall.